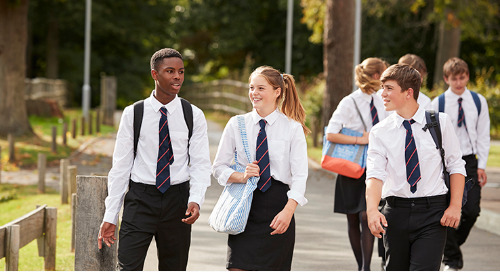 The Cloud Solution for K–12 Schools powers independent schools big and small from marketing and admissions to education management, tuition and billing, accounting, and fundraising. Connecting the major components of school management delivers a first-class experience for families, streamlines data flow and reporting, and creates efficiencies. 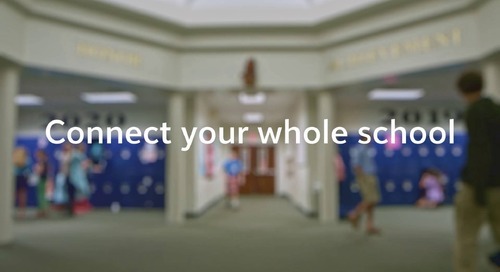 Discover how our cloud solution can help connect your school. Blackbaud Enrollment Management System makes it easier than ever to connect all aspects of your admissions process. With it, your admissions team and prospective families can manage and track their progress from inquiry and application through acceptance and enrollment. Key features include real-time inquiry alerts, financial aid award tracking, daily dashboards, and online applications. 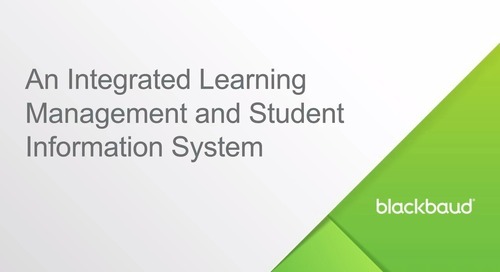 Blackbaud Learning Management System makes it possible to manage, connect, and share information with students, parents, and your whole school community. 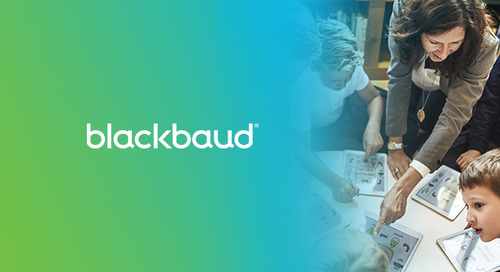 Developed with direct input from our customers, Blackbaud Learning Management System gives teachers the tools they need to meet the demands of a modern private school. Key features include interactive assignments, bulletin boards, open grade book, and the ability to create, score, and record. Blackbaud Student Information System provides a cloud solution for managing schedules, transcripts, and GPAs. It works directly with Blackbaud Learning Management System and simplifies how you share student data and academic records securely. Key features include attendance information, academic profiles, conduct reports, grading reports, learning profiles, and official notes. Blackbaud School Website System gives you the control to build and edit your school’s web pages with easy access to content types including photos, videos, downloads, text, and more. Share material and access content contributed by your entire school community. Key features include unique web design, HTML emails, site management, e-Commerce, landing pages, and device-friendly capabilities. Blackbaud Tuition Management simplifies the billing and payment processes to meet the needs of any school, regardless of size or complexity. Student and family accounts with full billing detail are presented online with access from Blackbaud Enrollment Management System and Blackbaud Student Information System. Key features include tuition management, payment plans, invoicing, payment choices, and late pay follow-up services. Blackbaud Financial Aid Management helps you award aid to the most deserving families by looking beyond the basic financial analysis and into behaviors with a hobbies, interests, and lifestyle profile. Key features include a customizable, mobile-friendly application, online document uploading with verification for greater accuracy, and comprehensive reporting with award recommendations. Blackbaud Raiser’s Edge NXT is the first-of-its-kind cloud fundraising and relationship management solution that enables K–12 schools to efficiently raise more money while reducing IT and third-party costs. Key features include cultivation tools to find new supporters, data enrichment functionality to identify and update missing contact information, multichannel communication options, online payment collection with automatic processing, and smart dashboards with detailed reporting. Blackbaud Financial Edge NXT is a comprehensive fund accounting solution for K–12 schools. It includes over 150 report templates; a flexible chart of accounts with sub-account dimensions; built-in budgeting for unlimited scenarios and future forecasting; and full payable, purchasing, and requisition sub-ledgers. Best of all, payments made in Blackbaud Tuition Management automatically post to Blackbaud Financial Edge NXT, eliminating double data entry and the risk of human error. Contact us today to learn more about The Cloud Solution for K–12 Schools. How Can Connect Raiser’s Edge Help Keep Data Clean? Learn how Connect Raiser's Edge syncs edits made to constituent records within Blackbaud’s education management solutions into Blackbaud Raiser’s Edge.